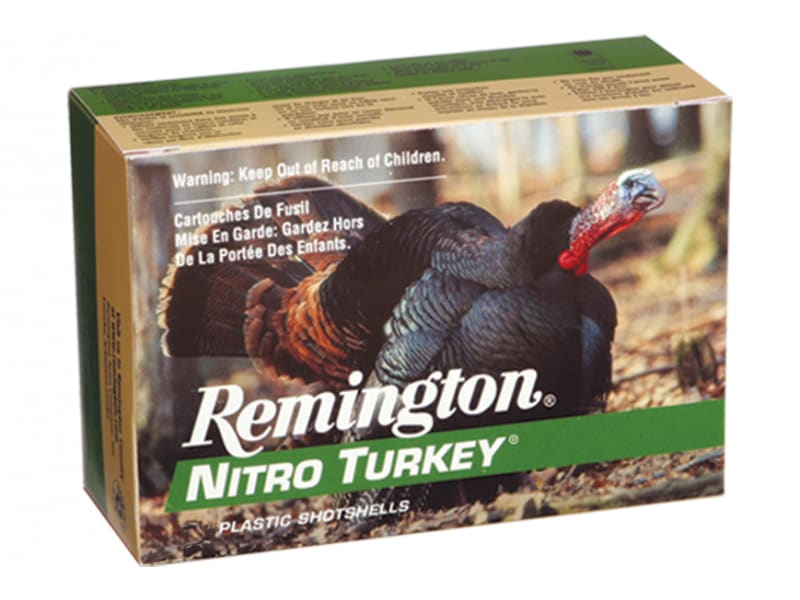 Remington NT12H6A: Remington Nitro Turkey shotshell ammunition for the turkey hunter who appreciates dense patterns, deep penetration, and range flexibility. 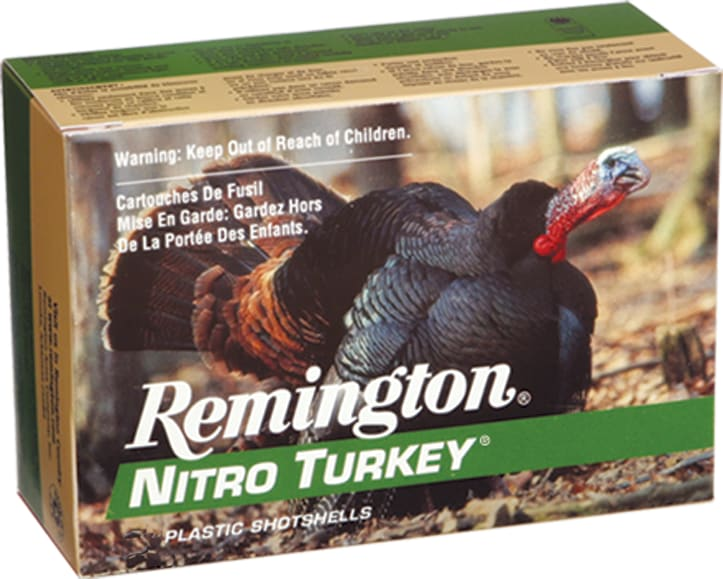 Nitro Turkey buffered loads contain Nitro Mag extra-hard lead shot. Remington's unique manufacturing process yields shot as hard and round as copper-plated shot. 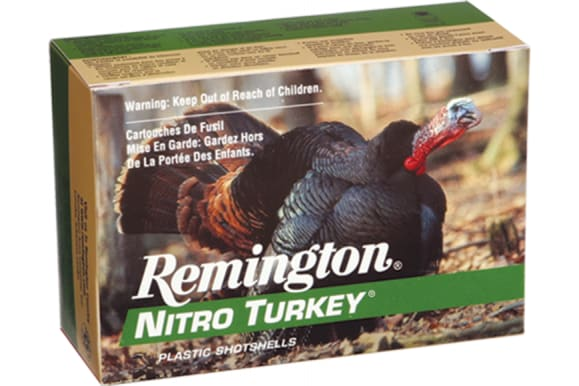 In fact, Nitro Turkey Magnums will pattern as well as other copper-plated, buffered loads without the higher cost. 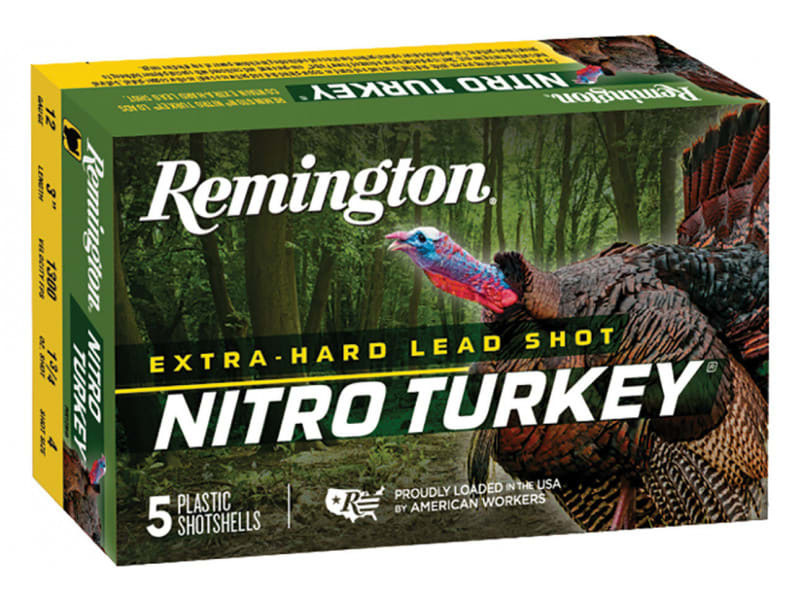 Utilizing a specially blended powder recipe and Remington's advanced Power Piston one-piece wad, Remington's Nitro Turkey Load delivers a full payload while delivering 80% pattern densities with outstanding knockdown power at effective ranges.